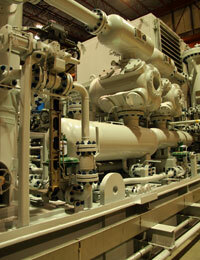 Specializing in natural gas compression, assisting people and producers. Industrious Solutions Inc. is an Alberta company specializing in natural gas compression training, providing consulting services in the field and in the boardroom. We provide customized field operator training that enables personnel to optimize your compression assets. We teach trouble shooting techniques, the basics of root cause failure analysis and best maintenance practices. Our team of experts is led by Bill Gibb, who brings more than 35 years of direct industry experience to gas producers and vendors in both Canada and the United States and around the world. We provide solutions to increase production, reduce losses and maximize revenues. Review our list of training programs and services to find the ones that best suit your needs. Contact us for customized programs and services that will meet the specific needs of you and your team. The benefit of customized programs is that they can be designed to support corporate objectives. Copyright © 2018 Industrious Solutions Inc. All Rights Reserved. Site by Element Software.